This easy DIY lip balm recipe features dried chamomile flowers, for their skin-soothing and anti-inflammatory properties. Castor oil was also added since it gives lip balm a wonderful longer lasting feel and slightly glossy look. If you don’t have any on hand though, you can use more chamomile-infused oil in its place. 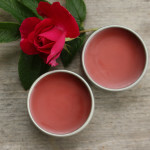 This lip balm is perfect for smoothing over chapped or dry lips and also makes a wonderful gift for the ones you love! 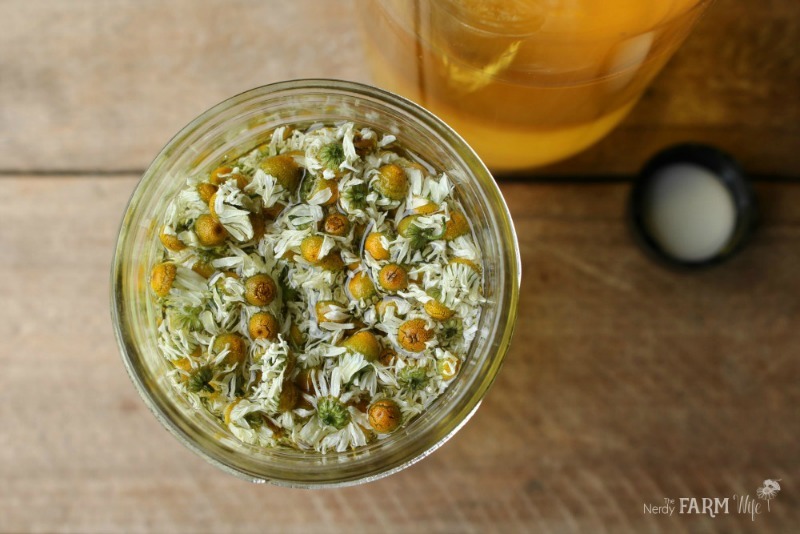 Before you can make the lip balm, you’ll first need to make a chamomile-infused oil. To do so, fill a small jar (I used THIS SIZE) about half-way up with dried chamomile flowers. If you don’t grow chamomile, you can find dried flowers HERE at Mountain Rose Herbs. Cover with about twice as much as your favorite carrier oil, or to the top of the jar. I used sunflower oil, but you could also try olive, sweet almond, apricot kernel, avocado, hemp and so forth. Set the jar down into a small saucepan filled with a few inches of water. Heat over a low burner for a few hours, keeping a close eye that the water doesn’t evaporate out. Cap the jar of flowers and oil and tuck away in a cabinet for around 4 weeks, shaking occasionally as you remember to. When the infusing time has passed, strain. *If allergic to shea butter, try mango, cocoa or avocado butter instead. If you can’t use any of those, omit the butter completely. You may need to adjust the beeswax a slight bit to compensate, but more often you won’t have to. ** For a vegan option, try using roughly half as much candelilla wax, instead of beeswax. You may have to remelt the lip balm a few times and tinker with the amounts a bit to get the perfect texture. Combine the oils, butter and beeswax in a heat proof jar or empty tin can. Set the jar/can down into a small saucepan that has a few inches of water in it. Set the pan over a medium-low burner and heat until everything is melted, keeping a close eye on things as it does so. Remove the pan from heat and the jar/can from the pan. Stir in the peppermint essential oil if using. 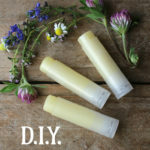 Pour into lip balm tubes. Let cool and then cap. You can find printable labels for this lip balm HERE. Use the fit to page print option and print out on heavy duty waterproof label paper. (Regular sticker paper tends to peel off of the tubes.) I’ve had best results with this label paper from Rustic Escentuals. You can also find other labels in this set (note cards, tea bag labels, bath salts tags) at THIS POST on chamomile care packages. Tagged chamomile, lip balm. Bookmark the permalink. 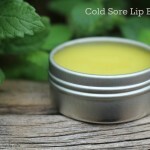 I’ve been looking for a ‘stronger’ lip balm recipe! I use macadamia oil because its light, but i think its too light now. Will try this recipe :) thanks for sharing! Where can I purchase the tubes? I got the ones shown from Rustic Escentuals, but I’ve also bought some from Bramble Berry that are similar (just not clear). I’m pretty sure I saw some over at Specialty Bottle’s site the other day as well, but haven’t tried theirs out yet. 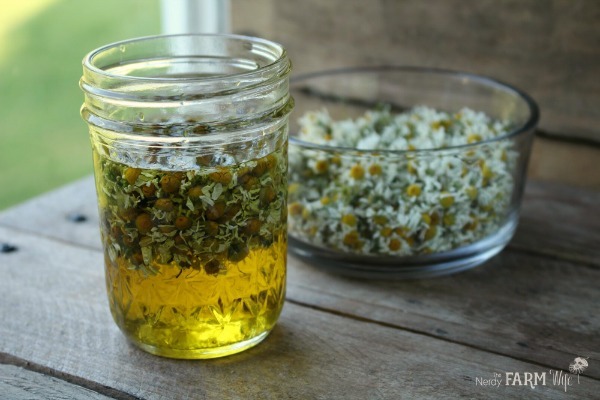 Can you use a commercially prepared camomile essential oil? Than you so much for the work you do. 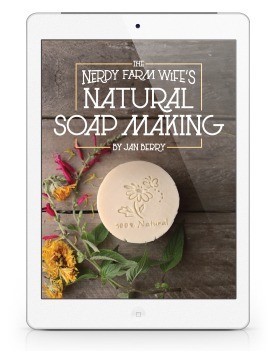 I started making soaps 2 years ago with your book and its grown into a business. I am forever a fan of yours. Thank You is what I meant of course. Hi Amy! Many people like to give around a 6 to 9 month shelf life for lip balm. It will depend on the freshness of the oils you start with & how it’s stored. You could also add vitamin E or rosemary antioxidants/extract (ROE) to make sure it stays fresh longer. Hi Jan! Loving your blog. Thanks for sharing such great recipes. 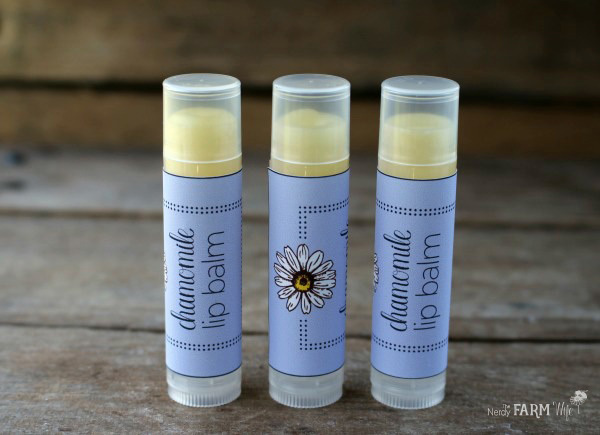 :) :) :) Quick question, I was checking your Lip Balm formula post, and noticed that it read 1 part Solid Butter, but for this particular Chamomile Lip Balm recipe it is a lot less that 1 part (about a 3rd). Is it because of the chamomile? 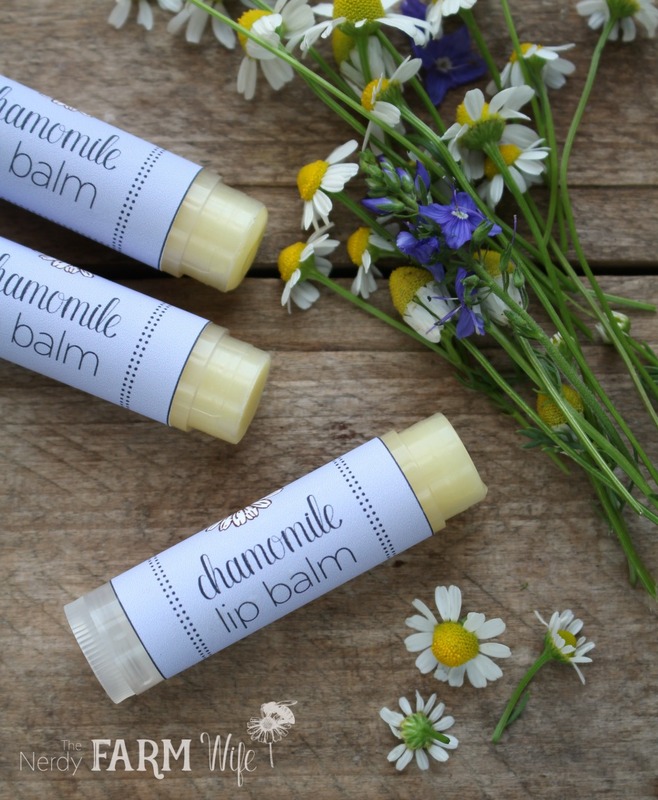 I have tried so many commercial lip balms, and they just don’t work for me, so I wanted to try something homemade, and Chamomile sounds like a lovely addition. Thanks in advance! 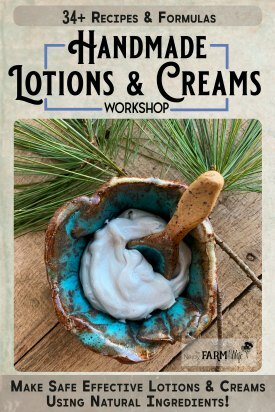 I was wondering if I could add zinc oxide for spf protection to this recipe? Thank you!! Hi Jan, Thank you for your blog!! I was wondering if you have used Coconut Butter in any of your recipes? I didn’t see any reference to it on your blog.